Disclosure: This post is sponsored by hydraSense®. To make sure hydraSense® products are right for you, always read and follow the label. I remember bringing my little bundles of joy home from the hospital. 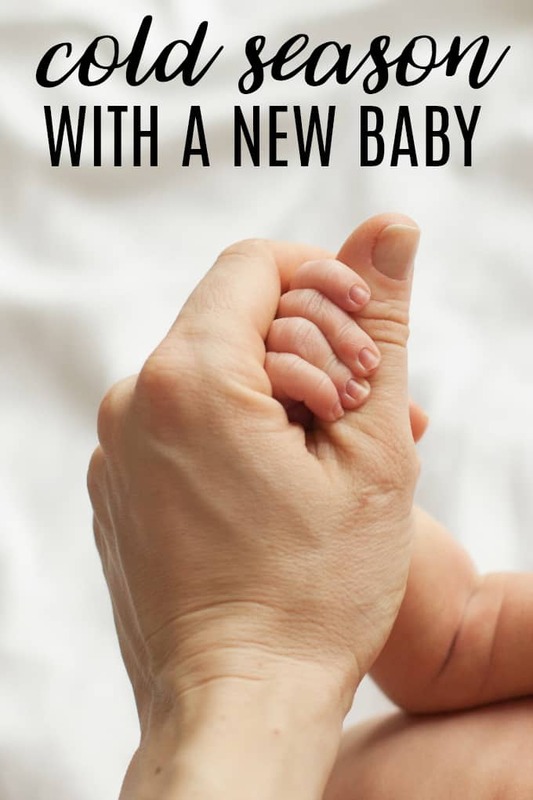 I had prepared for months getting the nursery ready and making sure I had all the recommended baby products. I wanted to make sure I would not have to leave the house unless I absolutely had to – at least for a few weeks. The items you’ll need will depend on the time of year you are bring baby home. If it’s during cold season, there are a few extra things I’d recommend picking up just in case. Being prepared is key, trust me! 1. Humidifier. I kept one running in baby’s room during naps and at night to keep the air moist. It’s really dry in the winter months which can irritate nasal passages. 2. Thermometer. I prefer the digital thermometers that go in the ear for ease of use. You can keep tabs on baby’s temperature and watch for fevers. 3. Hand sanitizer. I keep it everywhere during cold season, including my purse. Use it for yourself and other members of your family to keep germs at bay. 4. Doctor’s phone number. Important phone numbers are on my fridge so I can easily access them. The doctor’s phone number is at the top of the list. If baby’s symptoms aren’t improving or you are worried, you can always give the office a call. 5. Baby chest rub. Gently rub it on baby’s chest, feet and neck to help loosen congestion. I found my daughter slept better with it on. 6. Parent’s love. My babies are needier when they were sick and that called for some extra TLC and lots of cuddle time. A little patience helps, too! 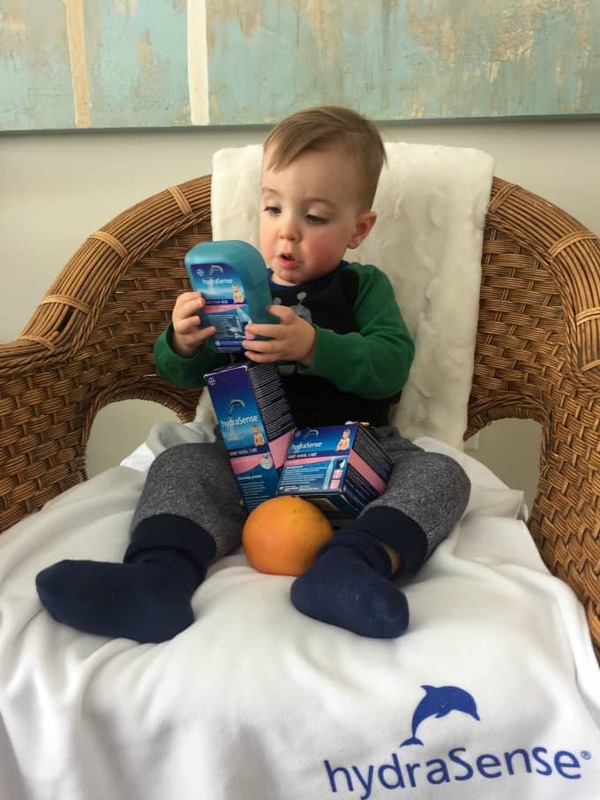 7. hydraSense® Baby Nasal Care products. Being stuffed up is no fun! They are available in three formats: Ultra-Gentle Mist, Easydose Vials and a Nasal Aspirator. The Ultra-Gentle Mist can be used 4 to 6 times a day to help reduce and relieve nasal congestion when your baby has a cold. EasyDose Vials could be used for travel and on-the-go. The Nasal Aspirator helps to clear those little noses, since babies aren’t able to blow their own nose yet. Pick some up at your local food and drug retailer or online at Amazon.ca. My sister, Laura, who has a baby boy named Emmet, agrees with this list, too. Little Emmet is just getting over a cold. What are your items for cold season with a new baby? Ooh, great tips. I hate cold and flu season with a passion and am always looking for ways to keep my babies safe from the germs. That gentle mist sounds like something my kids would like when they do get congested. These are great tips to help a congested baby or toddler. My son is older now but up until a few years ago he would have coughing spells and congestion and we never knew how to help him. One thing I do not miss about having babies is when they get sick. It breaks my heart to see their innocent little bodies lethargic. I wish there were hydraSense Baby Nasal Care products when my daughter was a baby. We always had a humidifier going in the winter to keep the air from getting dry. Great tips. I have never heard of this product before, i need to look into it for my baby. He gets sick a lot. It used to break my heart when my son got sick as a baby… still does! I don’t think we ever get over that as moms. An aspirator is a MUST. I kept one at home, in the car and in the diaper bag when my kiddo was small! So hard when when babies get sick, because they can’t tell you what’s going on!. It breaks my heart to see them in pain or with fever and no be able to say anything! It’s the worst when babies are sick! I wish I knew about this product when I had babies! Great tips to follow! This has been such a harsh season for so many people. It’s so hard when babies get sick.